Conditions remained cloudy and breezy, but the weather is slowly improving. Highs Sunday will be at 83 with lows in the upper 70s. 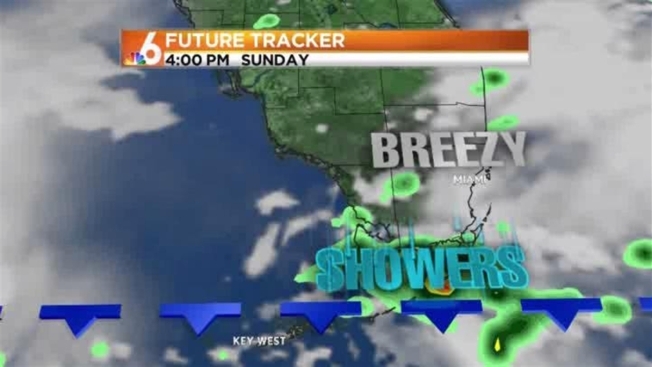 There is a chance of passing showers, but they are not expected to linger over inland areas. The day will be breezy, but not as windy as Saturday. There is a moderate risk of rip currents. Small crafts should exercise caution. Monday will be one of the best days, with only a slight chance of isolated showers and highs at 84. Rain is expected Tuesday before a cold front moves over the area Wednesday and Thursday. Lows will be in the upper 60s.